What is the Night Rating? 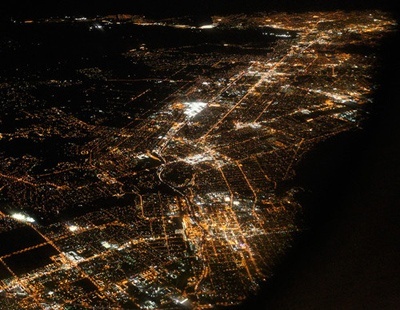 A Night rating allows the holder of a Private Pilot License to operate an aircraft at night. Night is defined as the time between Evening Civil Twilight and Morning Civil Twilight. Unlike the USA the Night rating is not part of your initial pilot training in Canada. Why choose the Night Rating? A Night rating can be added on a Private Pilot licence and is a part of the training towards a Commercial Pilot licence. Holding a Night rating increases the amount of time during a day that you can fly. 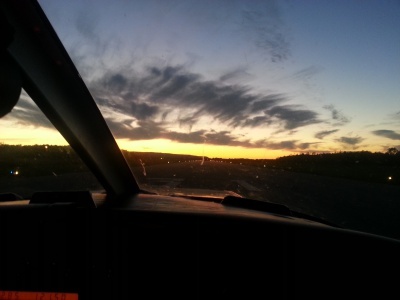 During the shorter fall and winter months a Night rating offers greater flexibility to fly. Some people use their pilot’s licence as a way to travel for business. Holding a Night rating increases the amount of training a pilot receives and improves upon the knowledge and skill acquired during initial flight training and ultimately makes you a better, safer pilot. The night rating offers a unique set of challenges, experiences and freedoms which may not be encountered during day flying. A night rating may only be added to Private pilot license or higher. For this reason, candidates for the night rating must be a minimum of 17 years old. There is no maximum age, may pilots decide later in their flying to pursue a night rating. What is involved in getting my Night Rating? The Transport Canada minimum for a Night rating is 15 hours* of in flight training. Future Airs' typical student will complete a Night rating in the 17 hour mark**. This is based on what it takes the average pilot flying on a regular basis to complete. Past experience has shown us that this is a realistic estimate for completion of the Night rating. *The 15 hour mark is based upon having 5 hours of instrument flight time from a Private Pilot licence. Pilot’s licenced before 1986 may not have any instrument flight time. ** 17 hours is due to the fact that when practicing instrument flight time not all of the time can be counted towards the total instrument time for the Night rating. Do I need to take Groundschool? There is no Groundschool requirement for the Night rating. Each lesson will include short preparatory ground instruction covering topics such as: Human factors, disorientation, illusions, and night flying techniques, just to name a few. There is no written examination for the Night rating nor is there a flight test requirement. When your instructor feels you are safe and proficient to hold the Night rating you will be recommended to hold the rating. What is the estimated cost of the Night Rating? Remember that every student learns at a different pace, so the cost provided will always be an estimate. 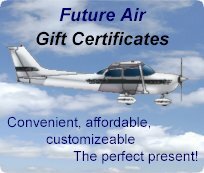 With Future Air’s many years of experience we are confident with the following price breakdown. Nominal fuel surcharges may also apply. Taxes are extra.